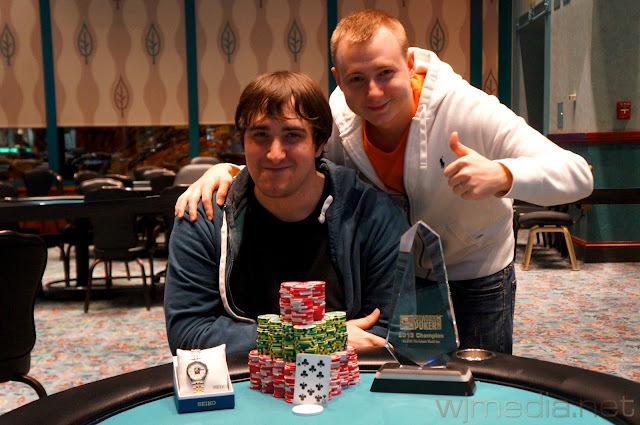 Ralph Massey (left) and Daniel Chan are heads-up for the $1,125 WSOP Circuit Ring. 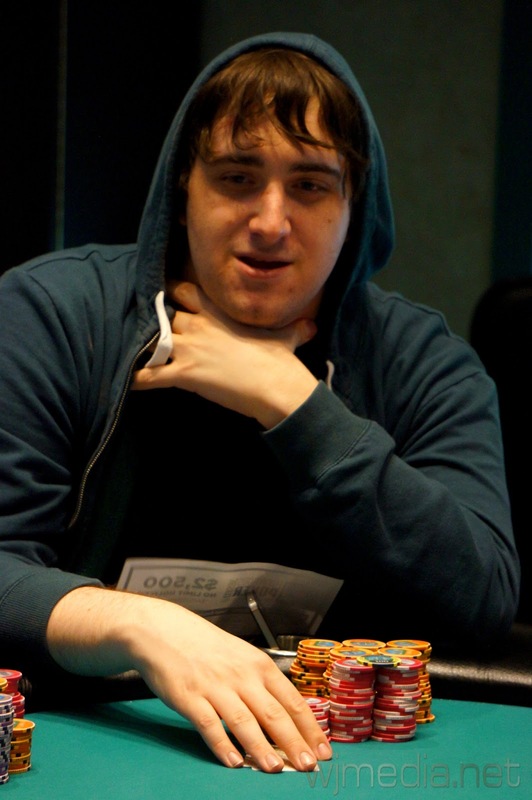 On a board reading [8c][6h][4d][6c], Morgan Litwin checks and Daniel Chan bets 72,000. 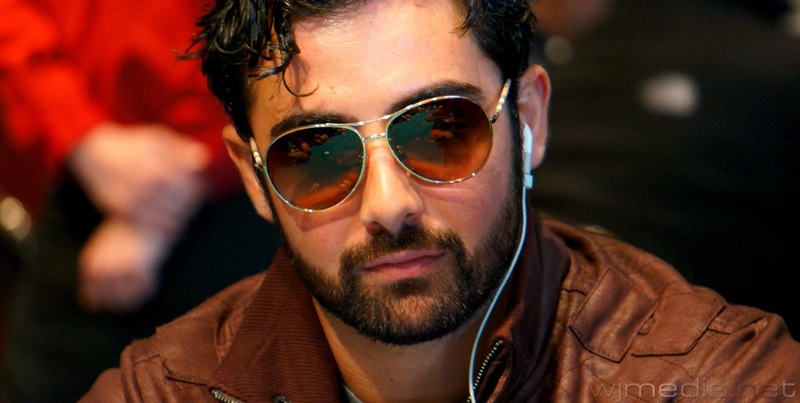 Litwin announces that he is all-in and Chan immediately makes the call. 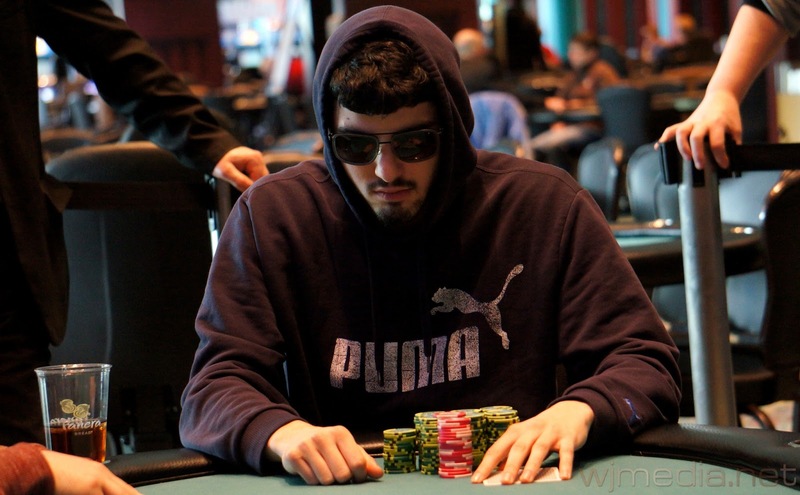 Litwin turns trips but Chan flops the straight. The river is the [Td] and Morgan Litwin is eliminated in 3rd place for $21,583. Daniel Chan and Ralph Massey are now heads-up for the Ring with Chan holding about a two to one chip lead. 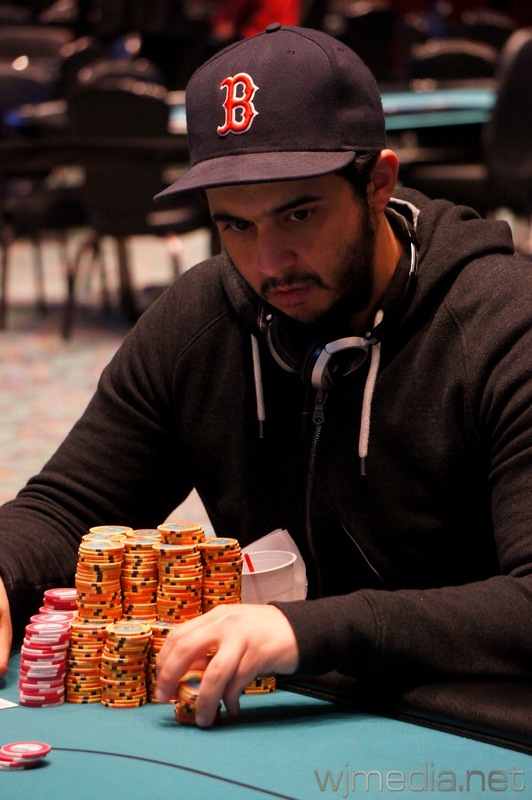 Ralph Massey and Alex Ortiz, the two short stacks at the table, get all of their chips in the middle before the flop. 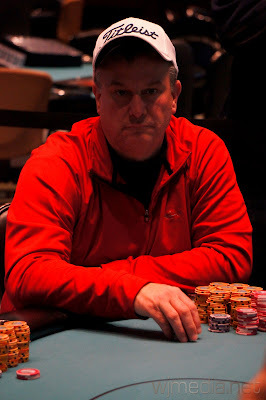 The board runs out [Kh][Jc][9s][3d][8d] and Massey takes the pot to double up. Ortiz was left with only 15,000 and was eliminated on the next hand in 4th place for $15,815. The final four players remaining in the $1,125 No-Limit Hold ‘em event are now on their one-hour dinner break. The board runs out [Kh][Ts][4d][6c][9h] and Chan wins the pot with his pocket jacks. Art Pappas is eliminated in 5th place for $11,806. The board runs out [8d][4c][4d][6h][Kd] and Chan takes the pot with his pocket aces. 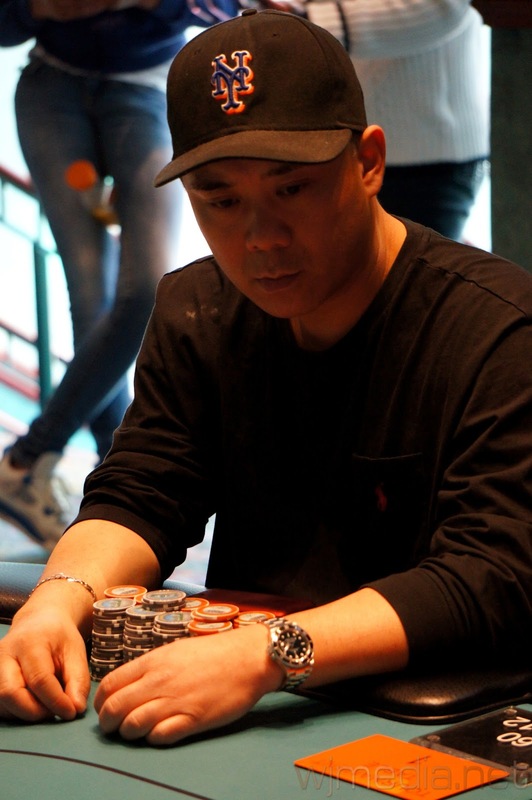 Gordon Eng is eliminated in 6th place, taking home $8,950. 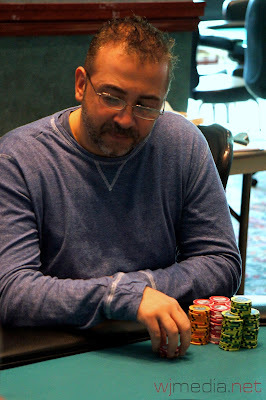 We have reached the final table of the $365 Omaha Eight-or-Better event at the WSOP Circuit. Play will continue tonight until we reach a winner. 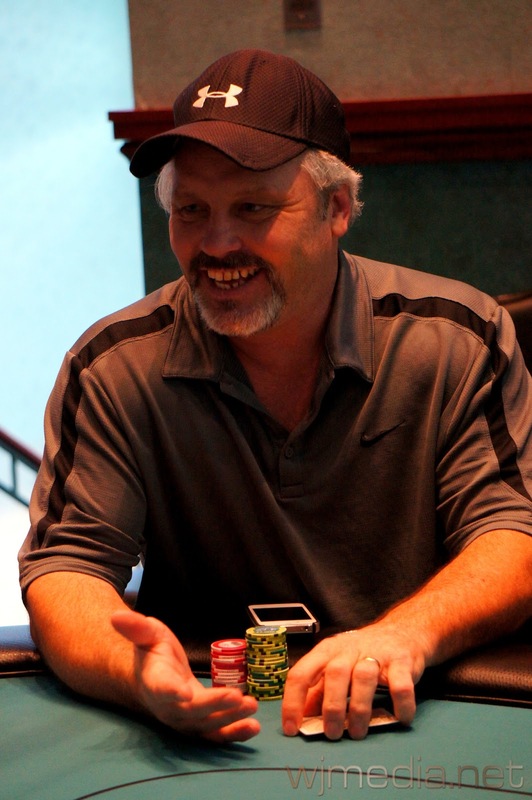 We had a total of 388 players in Event #4, the $365 No-Limit Hold ‘em, creating a prize pool of $116,671. 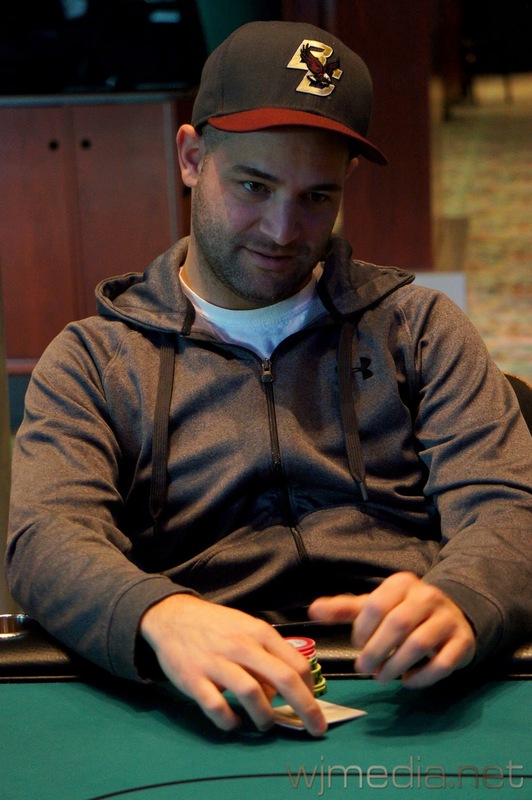 $1,125 No-Limit Final Table Now Streaming Live! 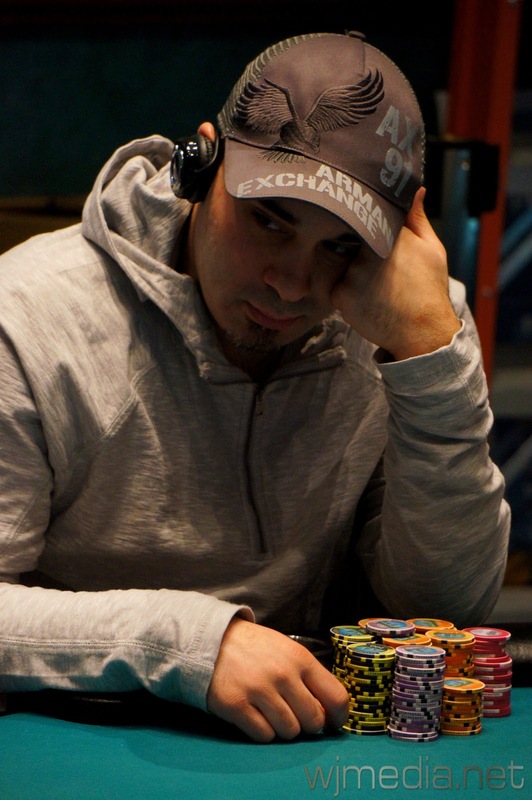 We have reached the final table of the $1,125 No-Limit Hold 'em event. 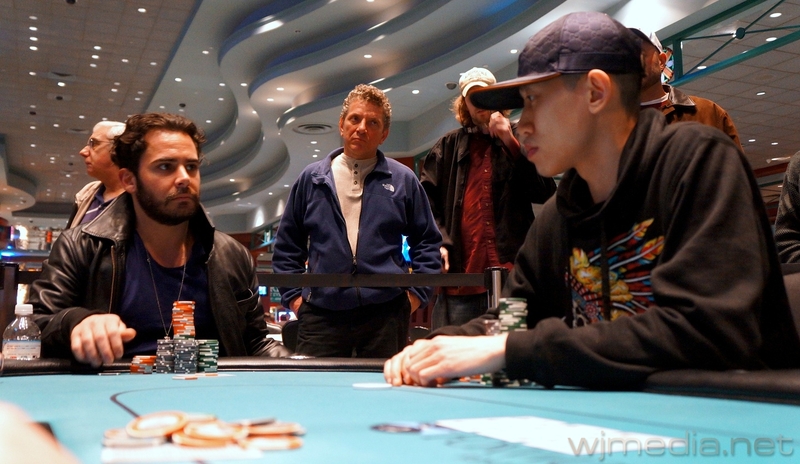 Day 2 of the $1,125 No-Limit Now Streaming Live! Day 2 of the $1,125 No-Limit Hold 'em event is now underway. The fourth Ring event at the Foxwoods WSOP Circuit, the $365 No-Limit Hold 'em, is now underway. Players start with 10,000 in chips and registration is open for the first four levels of play. 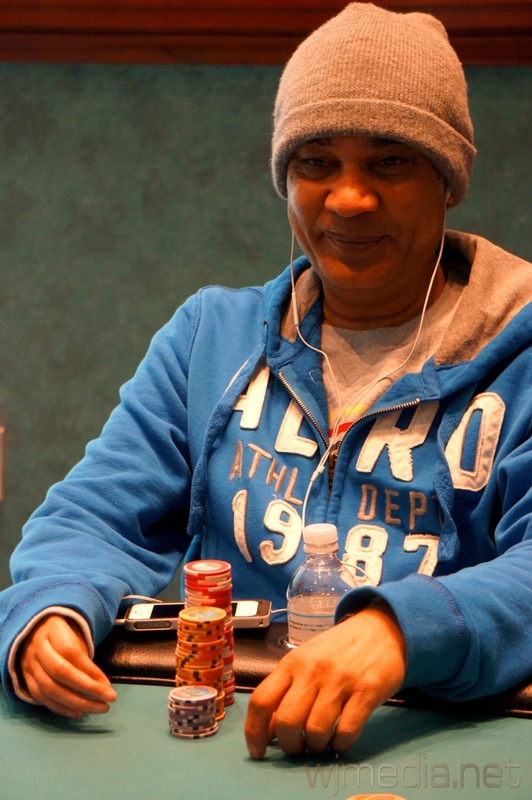 Day 1 of the $1,125 No-Limit Hold 'em event has come to and end with 13 players remaining. Ralph Massey is the chip leader with 376,000 going into Day 2. Play will resume tomorrow at 2pm and play down to a Circuit Champion. With 18 players remaining, the $1,125 No-Limit Hold 'em event is now in the money. All players are now guaranteed at least $2,408. 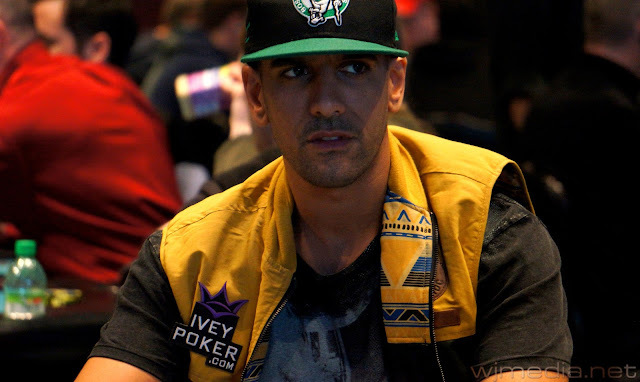 Among those still in are Ronnie Bardah, Ralph Massey and Daniel Chan. 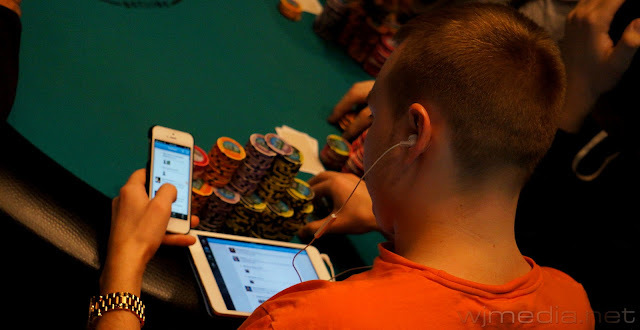 Full chip counts will be posted as soon as play is completed for the day. We had a total of 143 entrants in the $365 Omaha Eight-or-Better event at the Foxwoods WSOP Circuit Series. 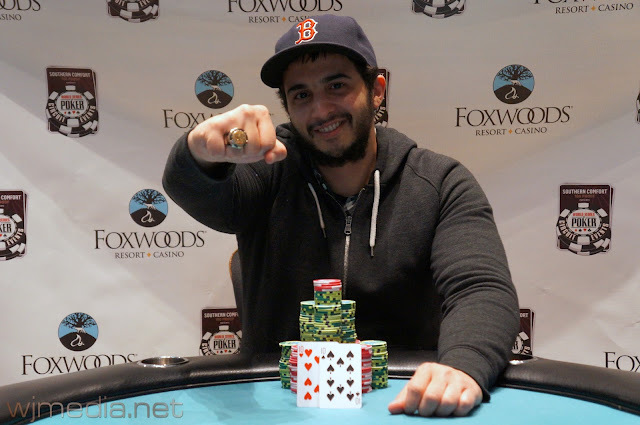 Cards are now in the air for the third Ring event of the Foxwoods WSOP Circuit Series. The $365 Omaha Eight-or-Better event features 10,000 in starting chips with registration open for the first three levels. Congratulations to Zachary Donovan, winner of the $365 No-Limit Hold 'em event at the Foxwoods World Series of Poker Circuit. Donovan takes home $48,112 as well as the first-ever Circuit Ring to be awarded at Foxwoods. Sam Taylor gets all-in before the flop with chip leader Zachary Donovan. The flop comes [Ad][8c][3s] and Taylor gets excited as he takes a huge lead in the pot. The [Kc] comes on the turn but the dealer flips over the [4c] on the river, causing the rail to explode. Donovan rivers a set of fours to win the pot and eliminate Taylor in second place for $29,661. 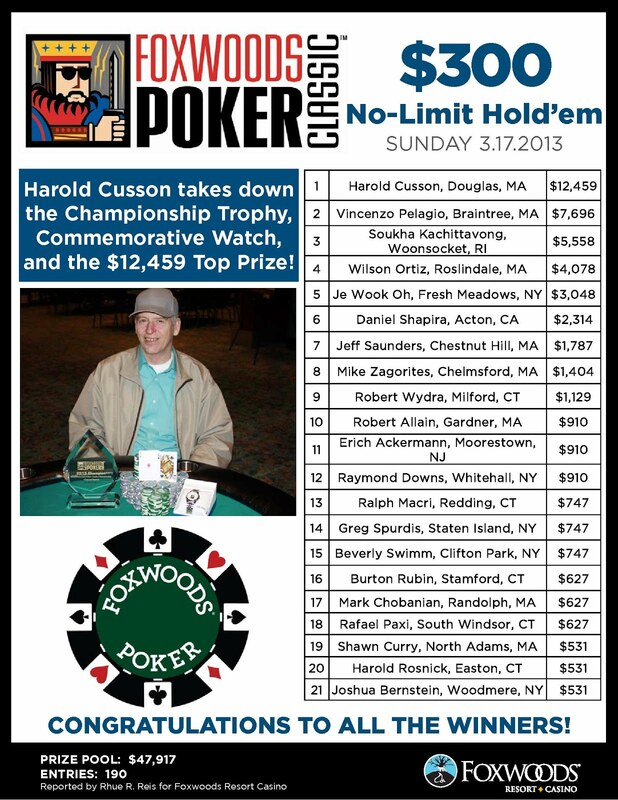 We had a total of 179 entrants in the $1,125 No-Limit Hold 'em event at the Foxwoods WSOP Circuit Series. The final 18 spots will finish in the money. 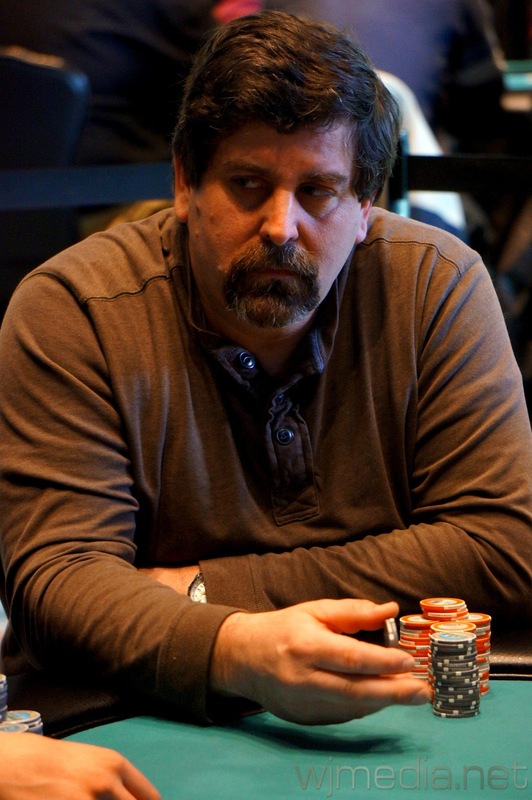 A short-stacked Tim Kelliher moves all-in from the small blind and is called by Sam Taylor in the big blind. The board runs out [Ad][Td][3c][7c][5c] and Taylor wins the pot. Tim Kelliher is eliminated in 3rd place for $21,867. 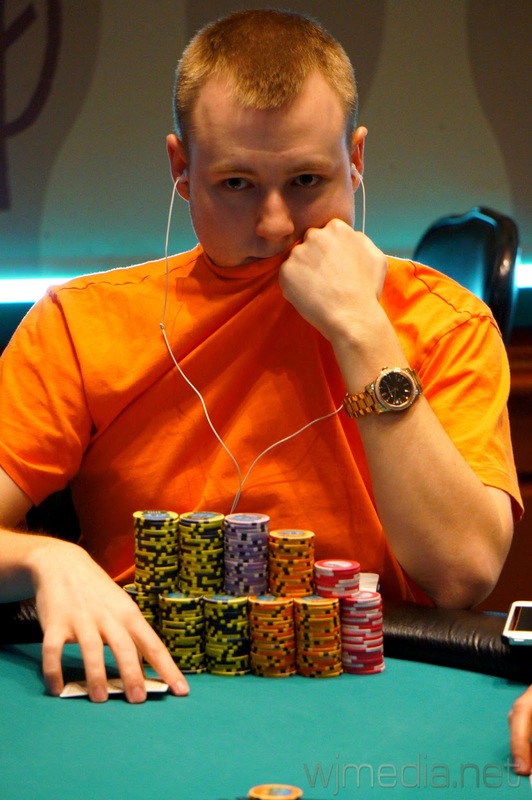 Josh Quint moves all-in before the flop and is called by the new chip leader, Sam Taylor. The board runs out [Kc][Th][5c][2c][2h] and Taylor wins the pot with his pocket sixes. 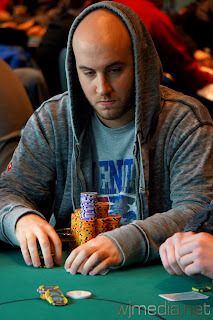 Josh Quint is eliminated in 4th place for $16,310. The board comes [Kc][8h][7d][As][6d] and Donovan spikes an ace on the turn to take the pot. 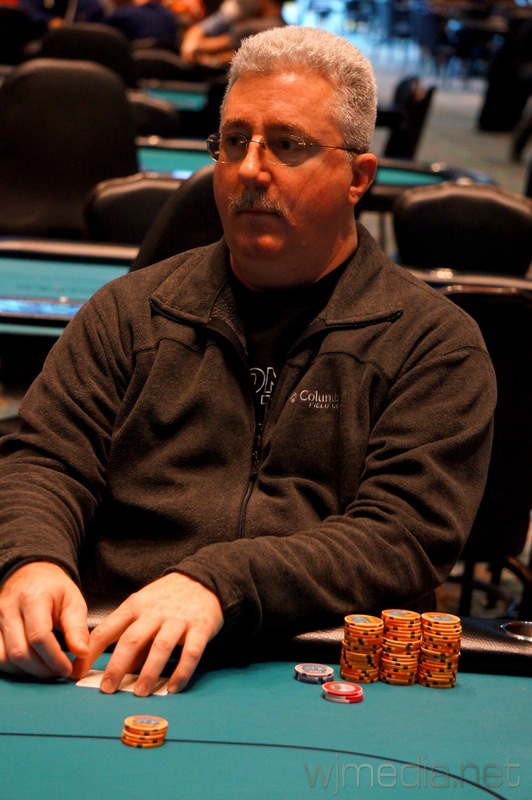 Michael Nye is eliminated in 5th place for $12,317. Joseph Ward looks to be in great shape to eliminate Josh Quint when they got all-in before the flop. However, the board runs out [Tc][9c][2s][Ac][Jh] and Quint flops a set to double up and cripple Ward with just over 200,000. 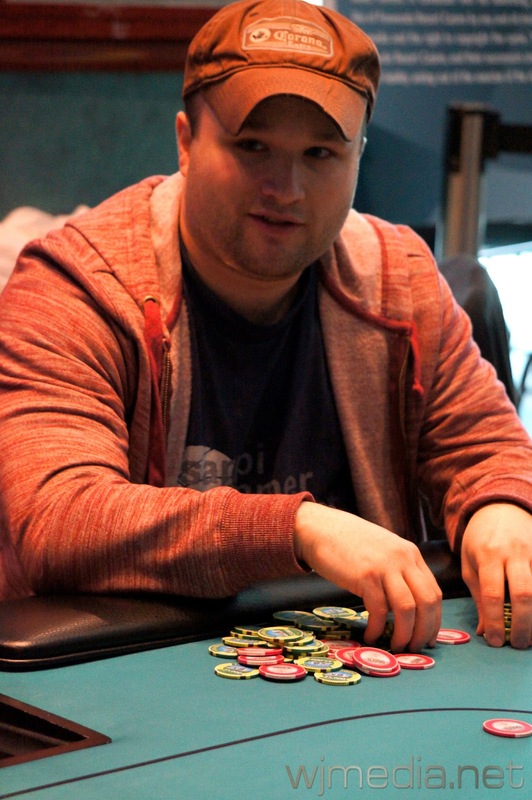 A few hands later, Ward moves all-in from the button with [Qc][7c] and is called by Zachary Donovan with [Ks][Th]. 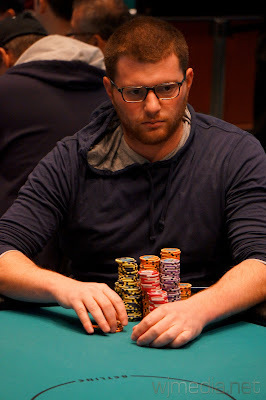 The board of [As][Js][3s][Kd][Kh] does not help Ward, and he is eliminated in 6th place for $9,430. 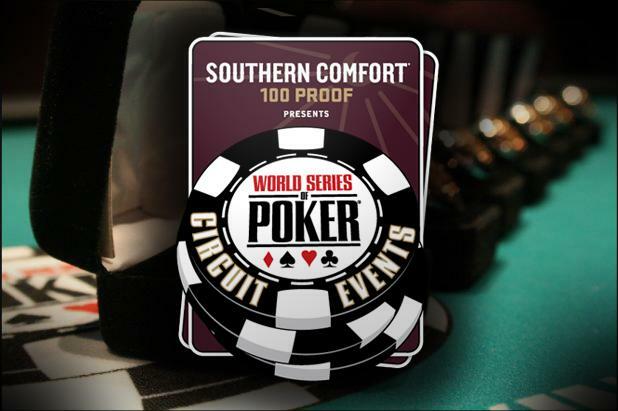 The WSOP Circuit $365 NL Final Table Now Streaming Live! 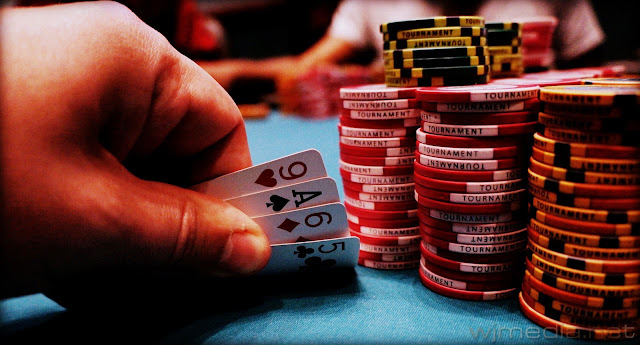 The final six players are back and cards are in the air. 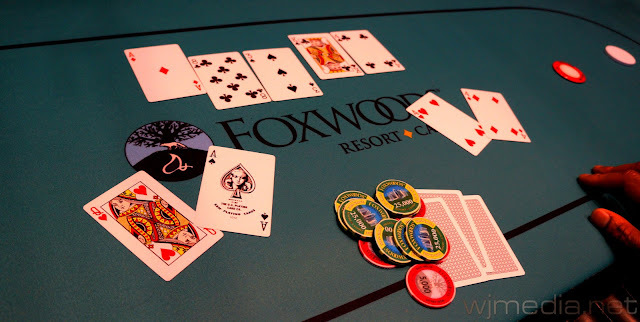 Cards are in the air for Ring Event #2 at the Foxwoods World Series of Poker Circuit Series. The $1,125 No-Limit Hold 'em event features a 15,000 starting stack and registration will remain open for the first four levels of play. Levels 1-12 will be 30 minutes in length, Levels 13-21 will be 40 minutes in length, Levels 22-25 will be 50 minutes and Levels 26 on will be one-hour in length. 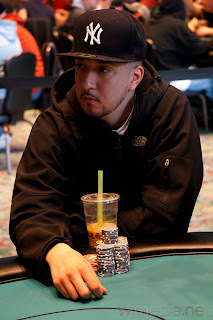 Play has come to an end on Day 2 of the $365 No-Limit Hold 'em event. There are six players remaining and play will resume tomorrow at 1pm. We are down to the final 18 players in the first event at the Foxwoods WSOP Circuit. Zachary Donovan, the start of Day 2 chip leader, continues to lead the field with 1,200,000. 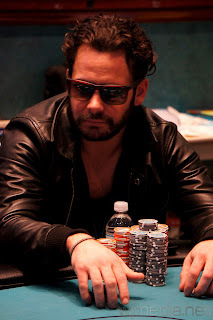 You can watch Donovan in the three seat of the feature table by clicking on FoxwoodsLive.com. The 25 remaining players in the $365 No-Limit Hold 'em event are now on their one-hour dinner break. 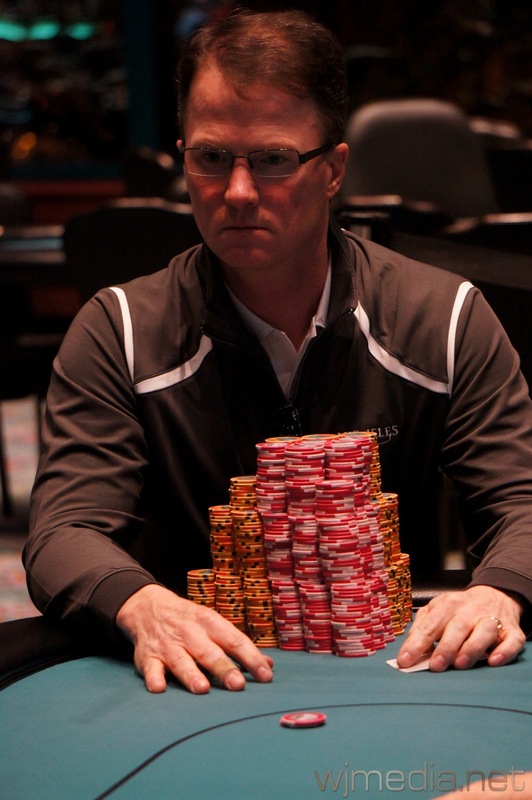 The average chip stack is currently 320,000. We had a total of 334 players in the special $250 No-Limit Hold ‘em Seniors event at the Foxwoods WSOP Circuit Series. 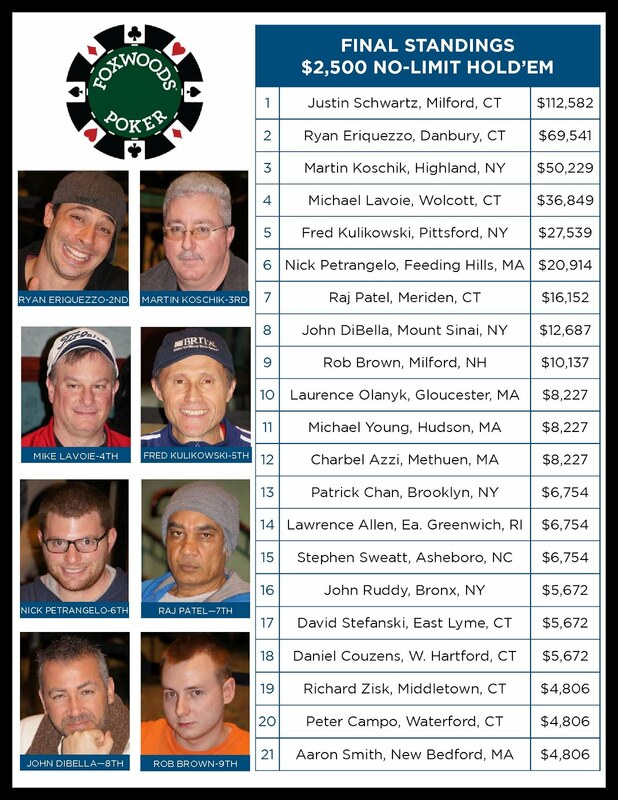 The final 36 spots will finish in the money with first place taking home $15,647. Event 1 of the @WSOP Circuit is in the Money! 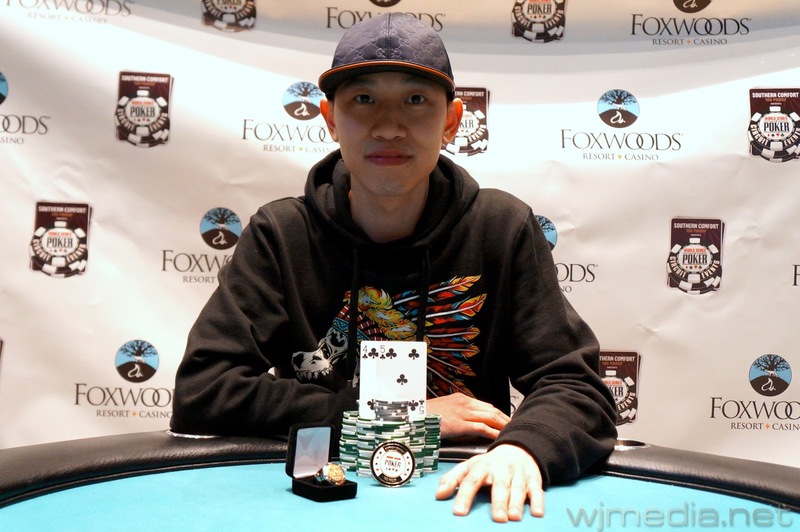 We have reached the money in the $365 No-Limit Hold 'em event at the Foxwoods WSOP Circuit Series. 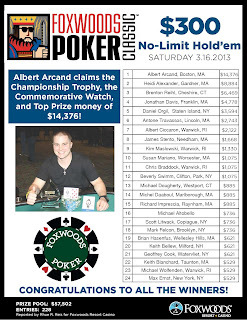 All players are now guaranteed at least $625. We are scheduled to play down to a winner today. 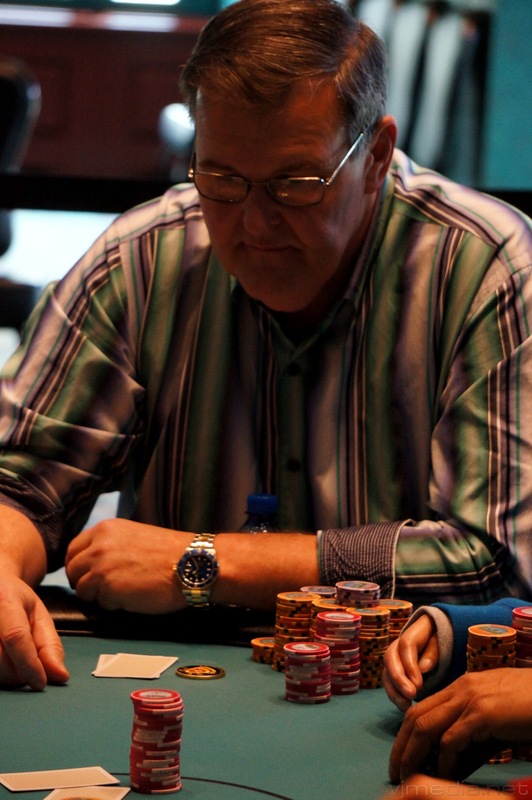 The Seniors get their chance at a nice prize pool today at the $250 No-Limit Hold 'em Seniors event is well underway. There are over 300 players in the field despite this not being a Ring event. We will have the final numbers and payouts shortly. 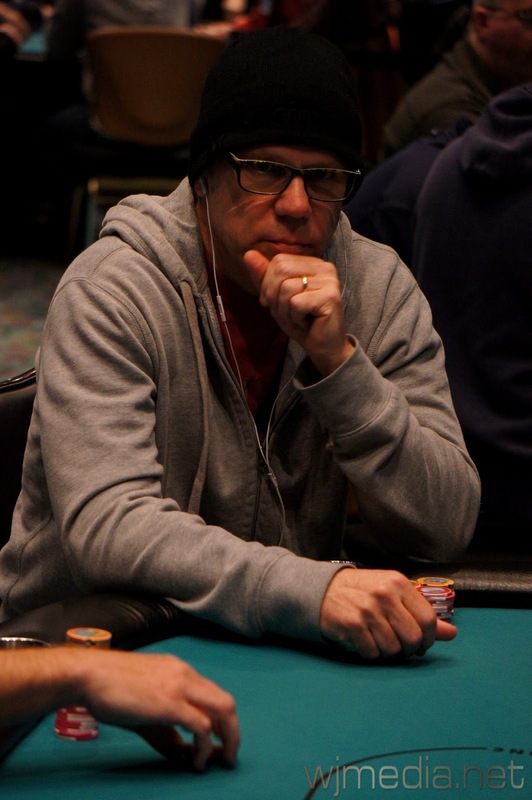 Day 2 of the @WSOP Circuit Event 1 Now Streaming Live! 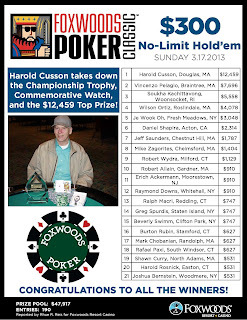 Cards are in the air on Day 2 of the $365 No-Limit Hold 'em event at the Foxwoods World Series of Poker Circuit Series. 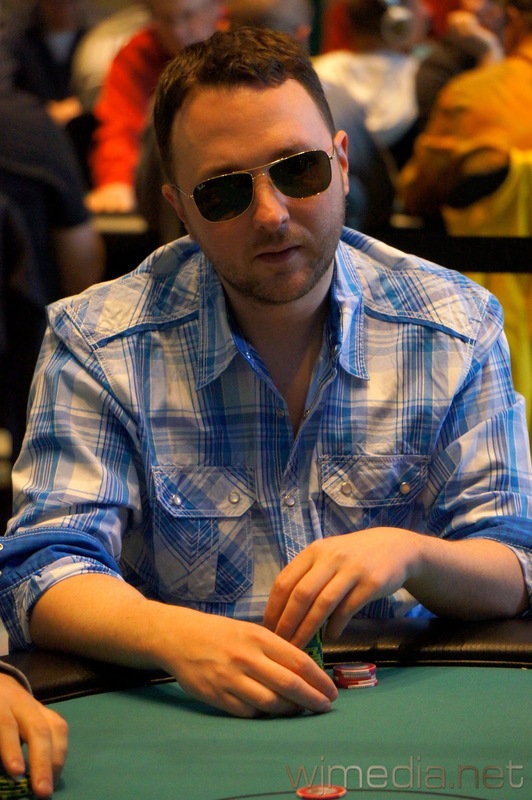 Only 125 players remain of the 800 that started the event. 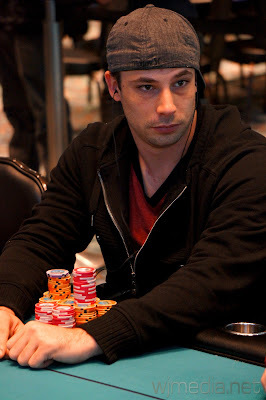 Donovan Zachary leads the field into Day 2 with 213,900 in chips. 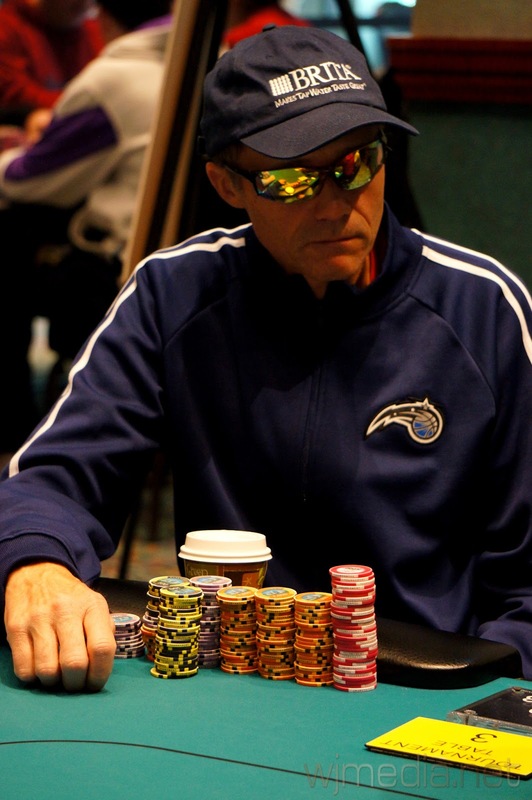 The blinds are starting at 1,000-2,000 with a 300 ante. We had a total of 800 players in Event #1, the $365 No-Limit Hold ‘em, creating a prize pool of $240,560. Cards are in the air for Flight B of the $365 No-Limit Hold 'em event at the Foxwoods World Series of Poker Circuit event. There are now 180 players remaining in Flight A. The two flights will combine and resume play tomorrow at 2pm. 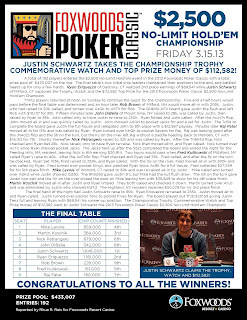 Registration has closed for Flight A of the WSOPC $365 No-Limit Hold 'em event. A total of 439 players entered the field and we still have a second flight to go. Flight B will kick off at 5pm today and registration will remain open for the first four levels of play. Come win your Ring today! 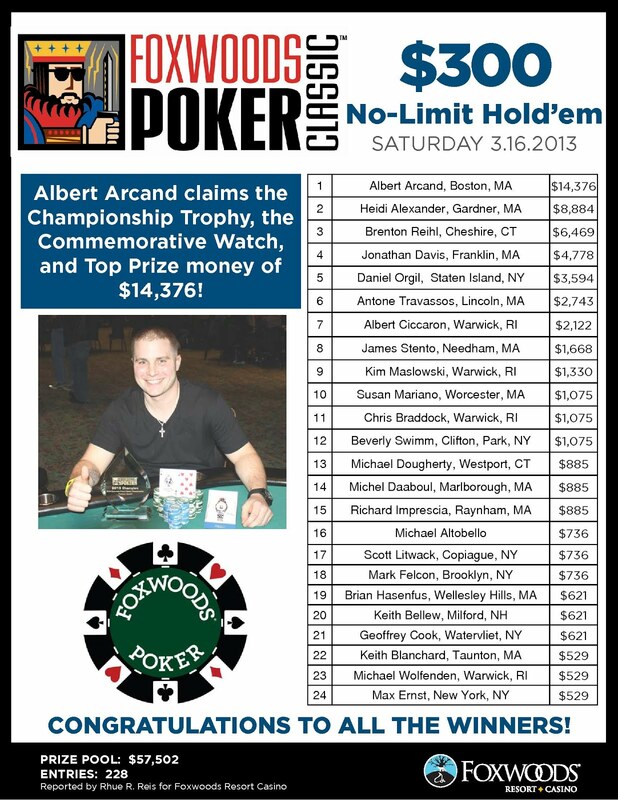 For the first time ever, the World Series of Poker Circuit is making at stop at the Foxwoods Resort Casino. 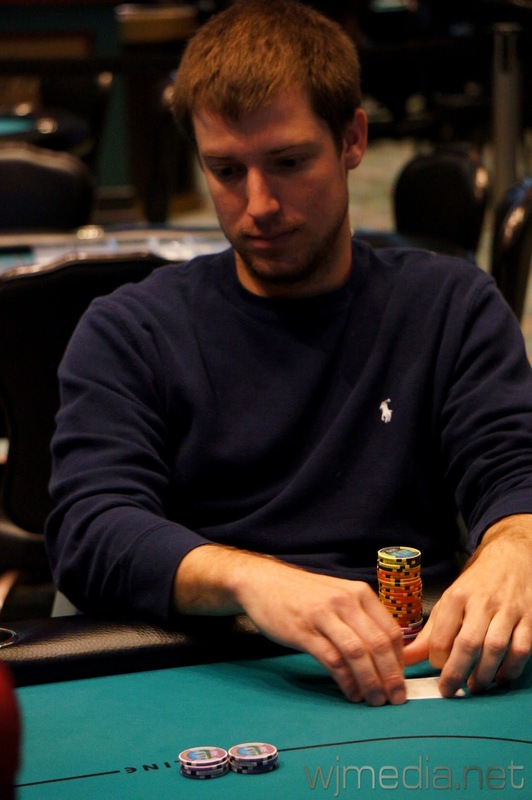 The first Ring event, the $365 No-Limit Hold 'em with two starting flights is already underway. 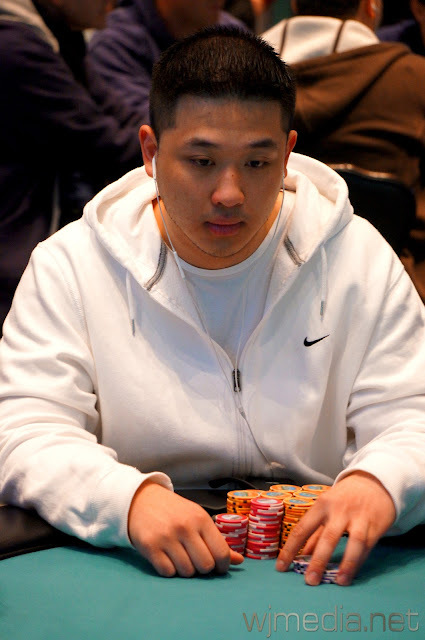 Players start with 10,000 in chips and the levels are 30 minutes in length for the first 12 levels. Flight A got underway at noon and is currently in Level 2. Registration remains open through Level 4. There are already over 400 players in Flight A. Flight B will kick off at 5pm tonight. Both flights will play 15 levels today and will then combine for Day 2, which will start at 2pm tomorrow. 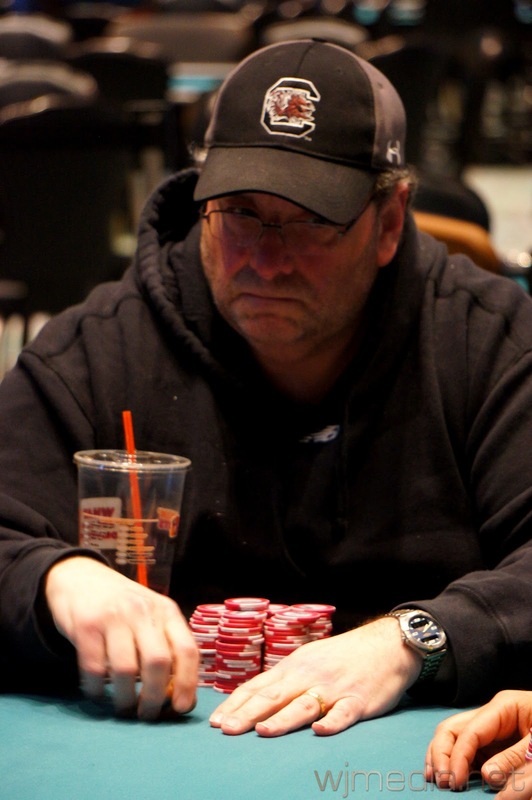 The WSOP Circuit Kicks off at Foxwoods on Wednesday! 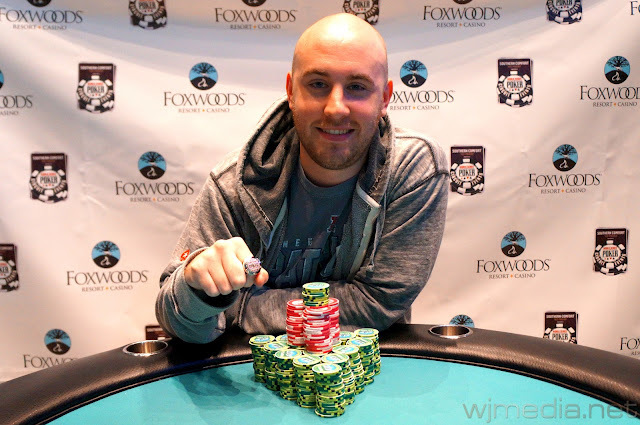 Congratulations to Justin Schwartz, winner of the 2013 Foxwoods Poker Classic Main Event. 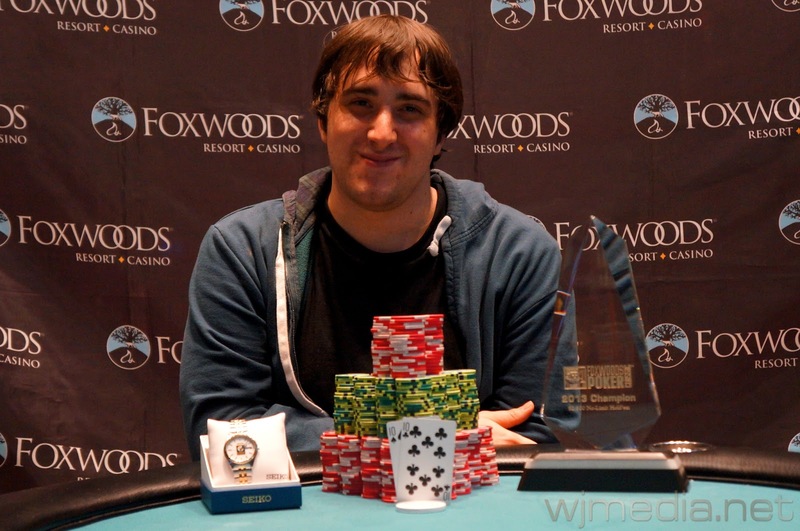 For his victory, Schwartz takes home $112,582 as well as the Foxwoods Poker Classic Trophy and watch! 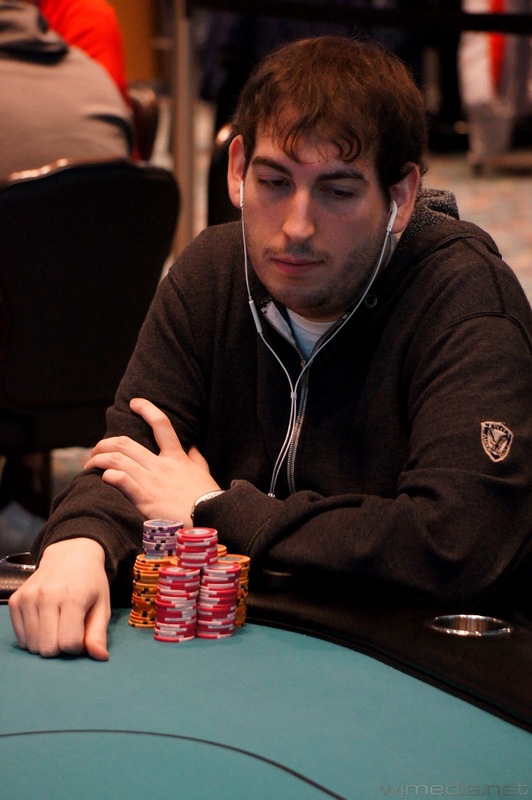 Ryan Eriquezzo limps for 30,000 and Justin Schwartz raises to 90,000. 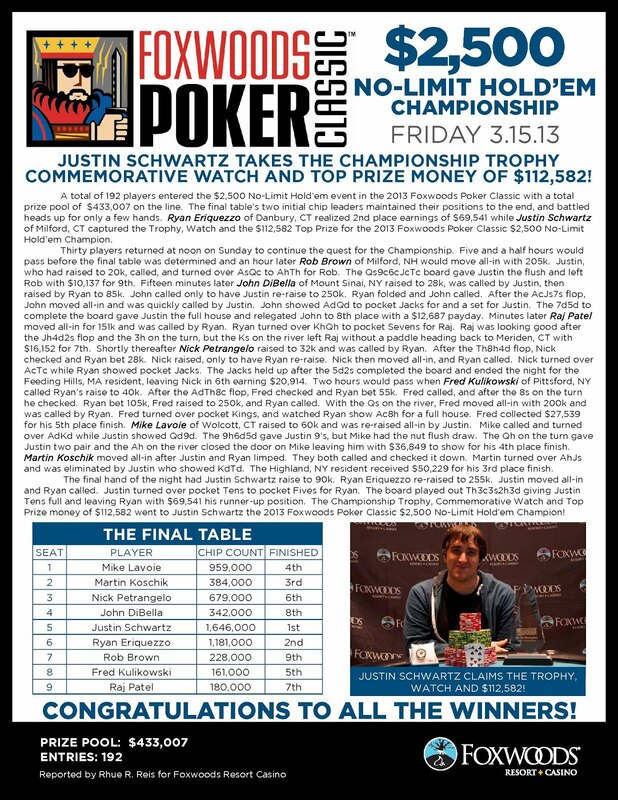 The board runs out [Th][3c][3s][2h][3d] and Schwartz takes the pot with his full house. 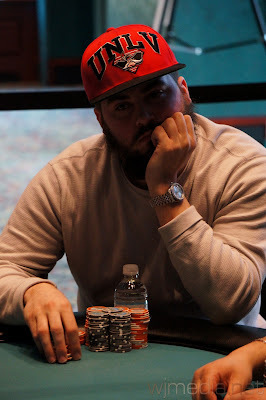 WSOP Circuit National Champion Ryan Eriquezzo finishes the Foxwoods Poker Classic Main Event in 2nd place for $69,541.